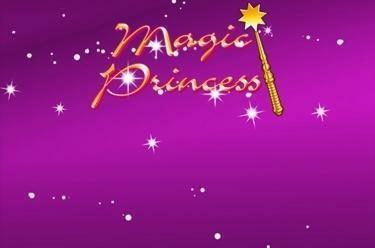 Play Magic Princess online for free now! Let the fairy tale world of our Magic Princess enchant you! Just like in a proper fairy tale the crown, the magic wand and the castle ensure a happy end in this slot - and there is a black cat for extra luck as well. If you find our Princess in one of your winning combos you will take home the main prize and Twists galore await you! 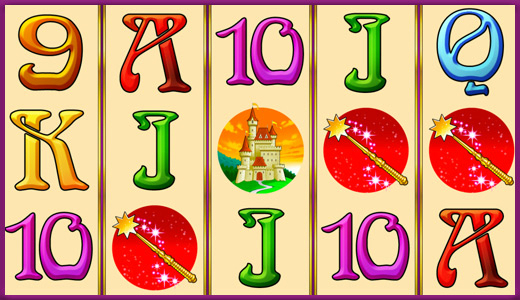 Magic Princess is played on 5 reels and up to 20 win lines. Your aim is to land 5 matching symbols along a win line. Your winning patters run from left to right across the reels. Your combination of symbols has to start on the first reel to the left and cannot be interrupted. Your game joker is the Princess: She represents all symbols except Scatter and doubles your winnings. 3 Scatter symbols (magic ball) start 15 bonus games. 3, 4 or 5 magic balls (Scatter) in any position win 15 bonus games, which will use the bet of your last regular game round. All winnings in the bonus game are tripled. If you are lucky you can win additional bonus games during the current bonus game with a Scatter combo.